Special events and celebrations are made even more special when worry or stress is reduced by trusting service professionals. Because we focus solely on the unique transportation needs of you and your guests, we ensure that you can enjoy your wedding, party or graduation without the worry of getting to and from. 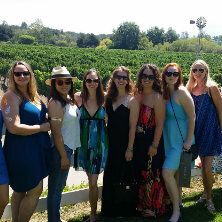 As the top rated local limousine and party bus provider in the Santa Barbara, Santa Ynez Valley, Santa Maria & Lompoc areas, we have a variety of vehicles available for group transportation. By making your comfort and safety our highest priority, we ensure your prompt arrival and safe departure from the venue of your choice. Find out why so many visitors and residents alike depend on us for unparalleled transportation services by calling our customer care team for a personalized quote. You’ve waited months for your special day, don’t let poor service get in the way of an otherwise magical event. 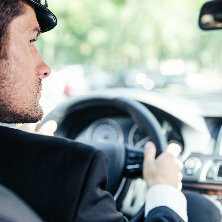 Our chauffeurs have an impeccable reputation for on-time transportation and will always arrive in suitable attire for your occasion. We can also provide shuttle transportation for wedding guests. Please call for more information. Santa Barbara and the surrounding area is a magnet for the most incredible music concerts the industry has to offer. Why not extend your experience by arriving like the VIP you are? Take one of our comfortable vehicles to the venue without the hassle of driving through traffic and fighting for a parking spot. Let us do that for you while treating you like royalty! Southern California is well known for its incredible basketball and football games. Let us get you to the stadium in style! 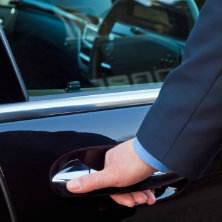 Our highly trained chauffeurs will take you wherever you would like when you choose our Sporting Events package. Feeling lucky today? The Chumash Casino is located in the heart of Santa Barbara's wine country, and a great place to enjoy a drink or grab something to eat with friends while trying your luck! Silk Road Transportation will take you there and back for an exciting gaming excursion. Feeling very Lucky? Las Vegas is known for its grand casinos and hotels. Let us safely take you there for a special getaway. Round trip or one way, we can accommodate any request. Graduation is a time to celebrate. What better way to celebrate than in a party bus or limo with your friends and loved ones? Let Silk Road Transportation help you enjoy your success! Prom night is the most important night for high school seniors, and being transported in a limousine is the most popular tradition. Silk Road Transportation will ensure prom night is a success for all involved. Complimentary refreshments will be served to add to the occasion. We used Silk Road for transporting our wedding guests. We had a challenging route up to Figueroa Mountain and back from Solvang. They initially expressed their concern but were willing to work with us as many transit companies were not as agreeable. My fiancee and I paid an additional "liability" fee but even with that, I thought they were very reasonable. The folks at Silk Road, including the drivers, were courteous and professional, and everything worked out perfectly. I would definitely recommend them.